What better way to spend a beautiful, crisp fall Chicago morning than immersed in nature in the heart of our beautiful city? 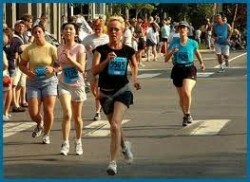 On Saturday, Oct. 20, the Peggy Notebaert Nature Museum will host its enhanced annual 5K Run/Walk, the Run for Science. Museum supporters, nature enthusiasts and citizen scientists will come together to walk or run to support science education in the Chicago area. While the race is walker and stroller friendly, competitive runners will race to win some fabulous swag. Best of all, when the race is over the Museum will open its doors free of charge for participants for a fabulous day full of urban nature. Run for Science participants will get the first glimpse of Backyard Monsters, a brand new exhibition that celebrates the insects found in our backyard as well as throughout the country. To register, for the race route, or for more information, go to the Run for Science webpage at www.naturemuseum.org/rs.